Milo McIver State Park has 53 campsites and is on the banks of the Clackamas River about 45 minutes from Portland. Forty four (44) of the campsites have water and electric hookups for trailers and RVs. There’s also 9 tent sites available. In addition, there are three group tent camping areas, as well as three hiker/biker campsites available to reserve. Campground amenities include drinking water, hot showers, flush toilets and an RV dump station. Each campsite also has a table, fire ring, and grill. Firewood and ice are also available for sale at the campground. This beautiful park offers a variety of recreational opportunities such as rafting, canoeing, kayaking, hiking, biking, horseback riding, and wildlife viewing. 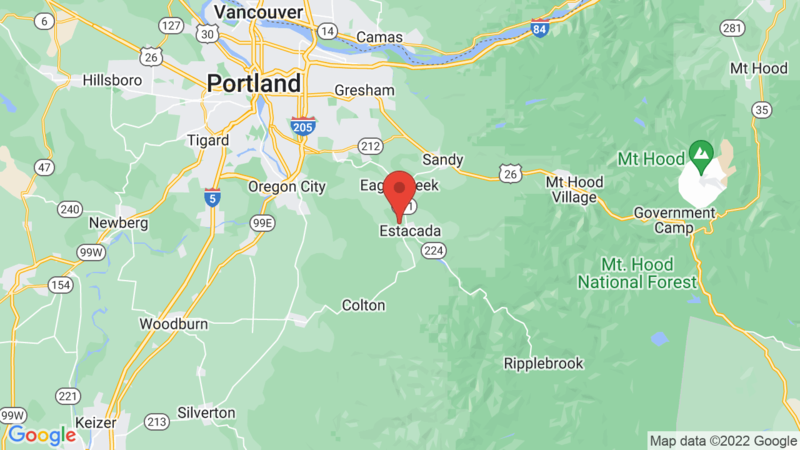 The Clackamas River and nearby Estacada Lake also offers great fishing. There is also a fine 27-hole disc golf course, with discs available for rent or purchase. You may also be interested in Oxbow Regional Park. It’s about 20 miles north and located next to the Sandy River. 3, 8, 11, 16, 18, 28, 32, 38, 40, 45. Visted Milo McIver State Park Campground lately? We'd love to hear about your adventure. Did you find us useful? Did we forget something? 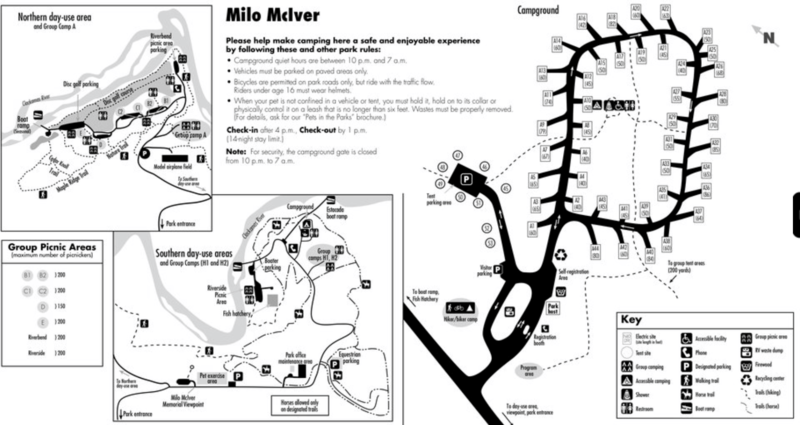 Anything our community should know before heading out to Milo McIver State Park?